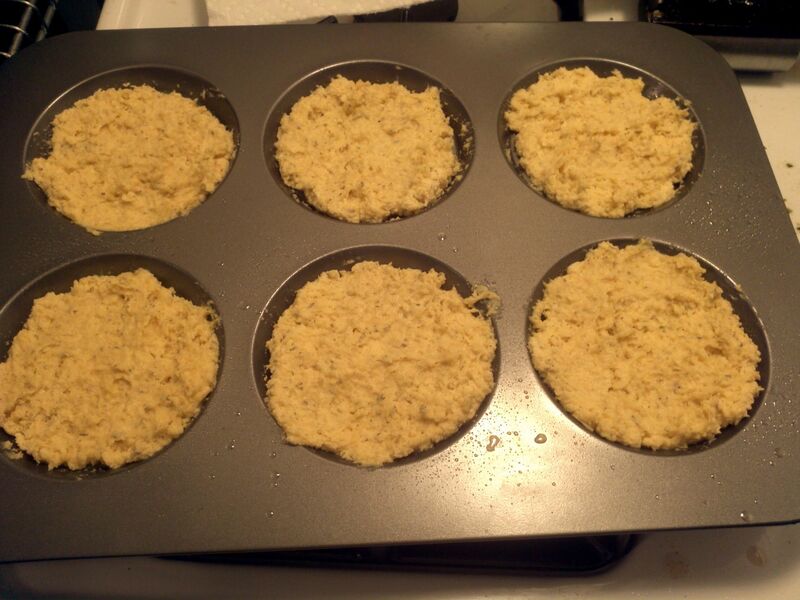 Ever since I made the Almond Buns I knew there would be a ton of other uses. 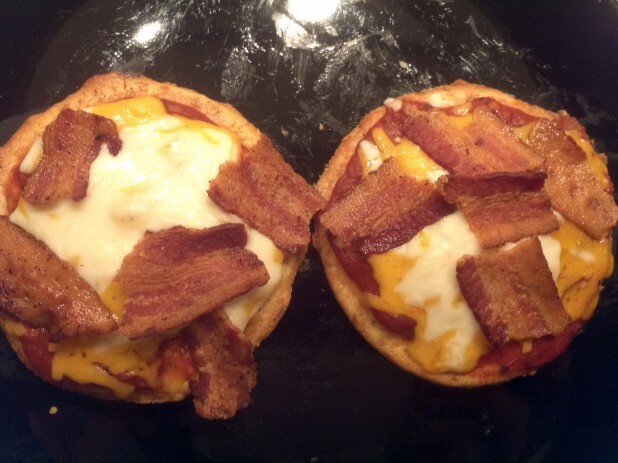 This week I decided to use the buns to make personal pizzas using the buns! 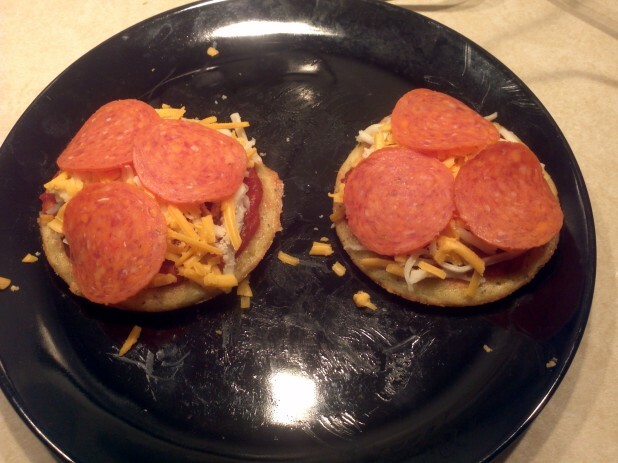 Using individual buns is great for portion control and also allows each pizza to have its own set of toppings depending on what everyone wants! 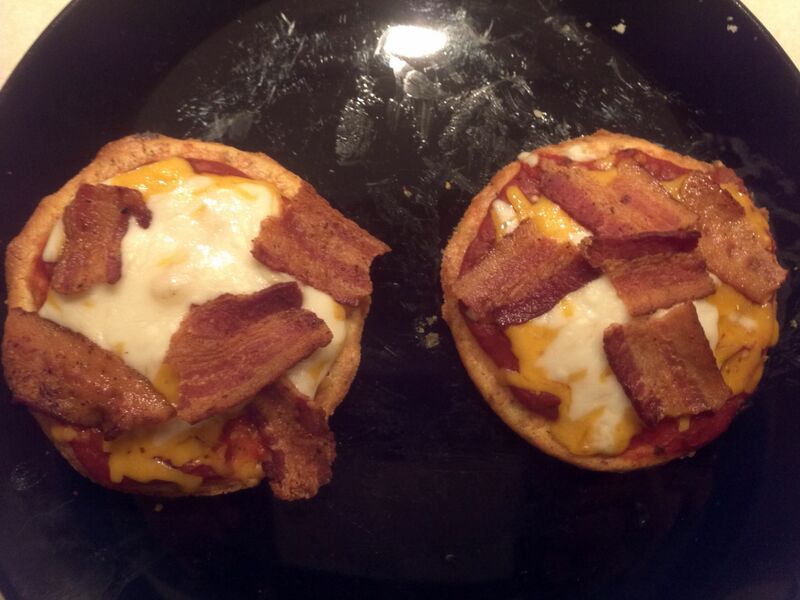 For mine I put bits of bacon with cheddar and mozzarella cheese. I made the dough the same as with the original almond buns except I added 1 tsp of Italian seasoning (oregano, thyme, basil and some other things) and grated some fresh Parmesan into the mix. I didn’t mention it before, but you can personalize your almond buns by adding in spices to match what it is being used for. Here is the mixture spread out into a muffin top pan. Since the original article, some people have also reported good results using egg forms if you have those handy. Here are the completed buns. 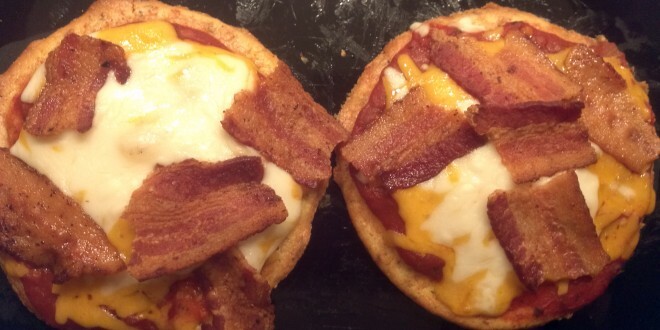 Note, you can undercook them a little because you will be toasting them again for the pizza. So I cooked them right until the edges started browning. 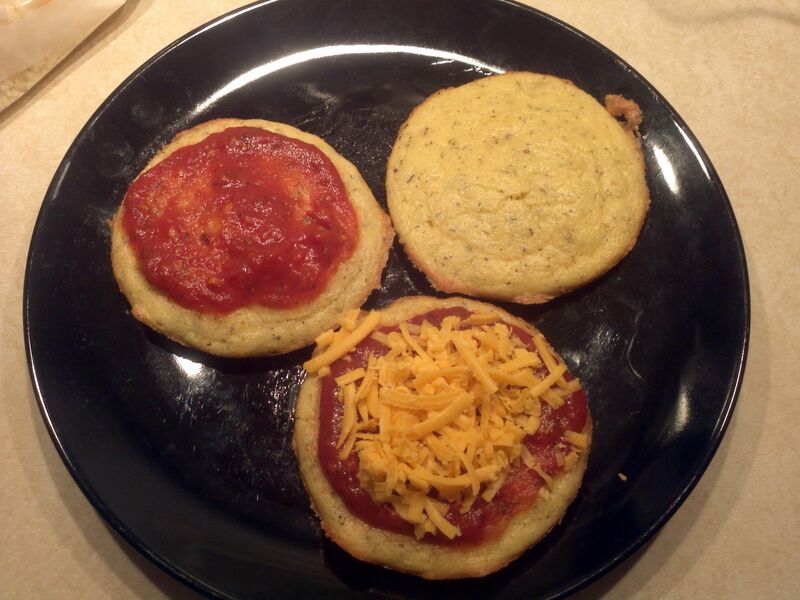 Here is a picture of the progression of making the pizzas. I use this pizza sauce I found called Casa Viso Pizza Sauce. Its only 2 net carbs per 4 Tbsp (1/4 cup). This was by far the lowest of the ones I saw in the store. I think I used less than that but in case you were looking for a brand to use. 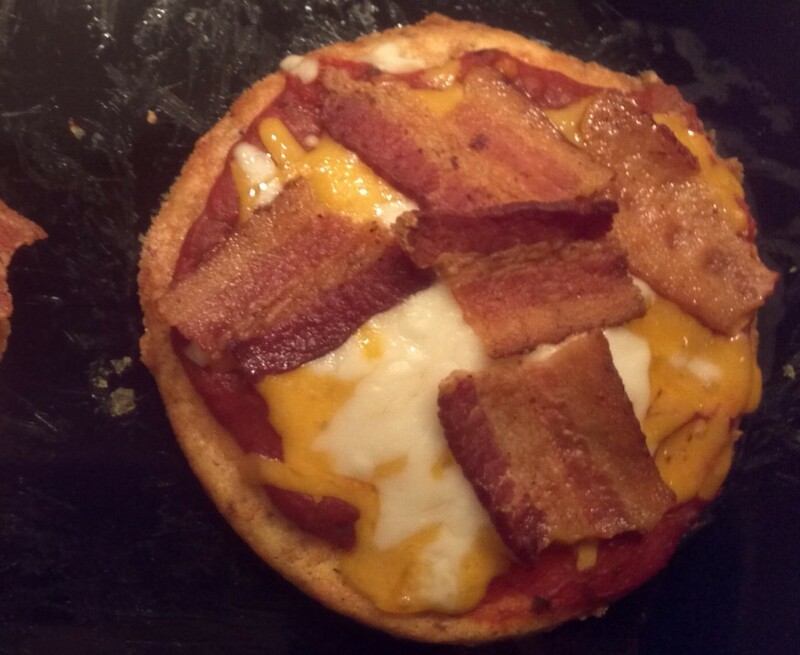 Obviously if you pick a random one thats 9 net carbs this won’t be very keto friendly. My wife made Pepperoni. Another trick is to put a layer of pepperoni under the cheese and then you can put a different topping over the cheese, or more pepperoni. Here is a later version we made cooking. 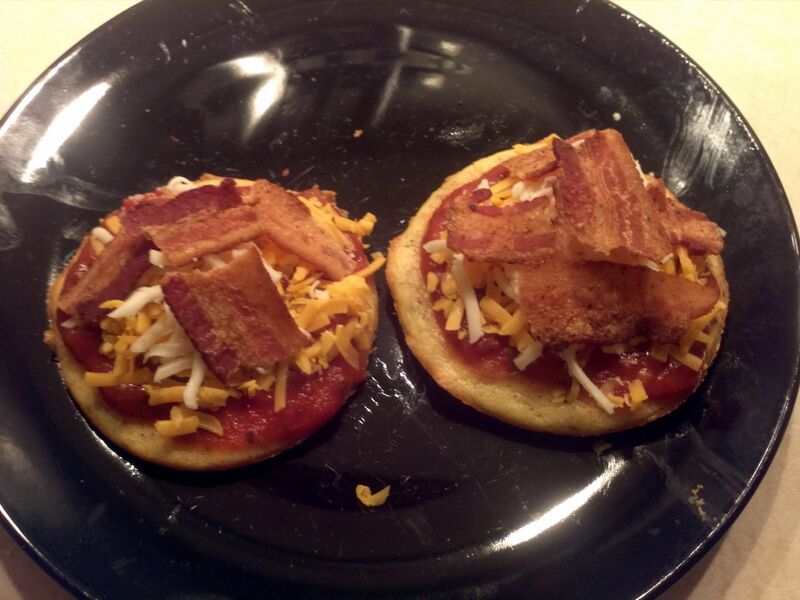 The toothpicks really held the pepperoni together. Without it, the pepperoni will slip off. Also, if works better to flip the buns over and put the sauce and toppings on the flat side. 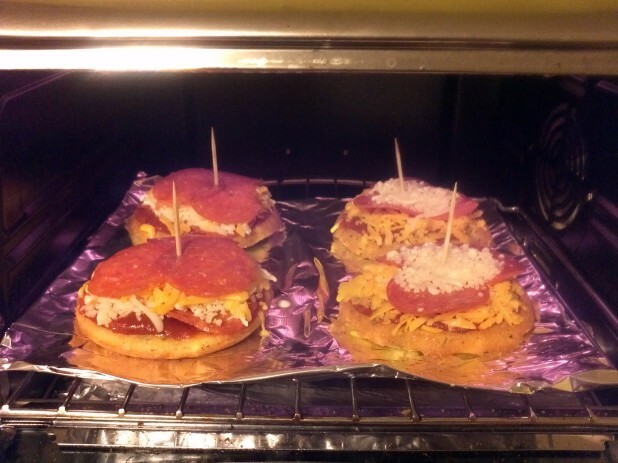 I cooked them in my convection toaster oven in order to save time and energy but it would work just as well in an oven. Here is the final result. Enjoy! 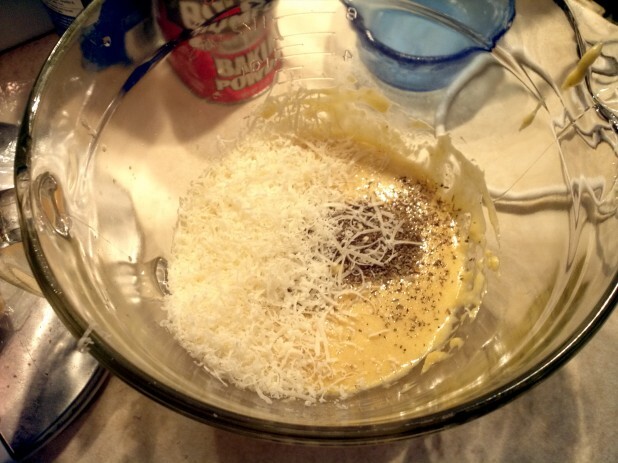 Bake / Toast / Broil for 3-5 minutes until toppings are crisp and cheese is melted. Awesome idea for these awesome buns!! Thanks for the tip! could you use a whoopie pan? 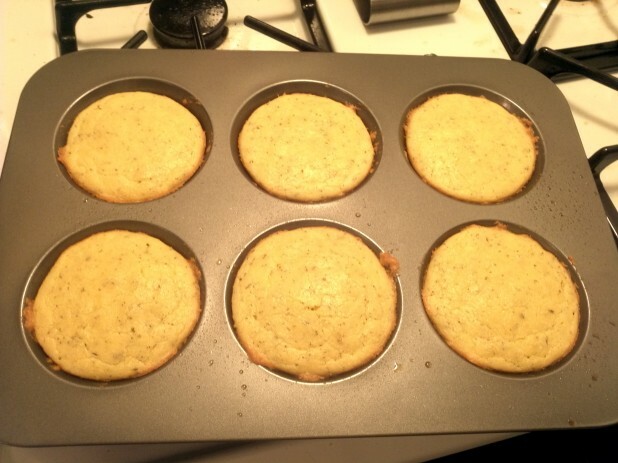 You can use a whoopie pan but they result in smaller, more rounded edge buns. Can’t wait to make this tomorrow! Just a heads up though, the recipe calls for 7 slices of pepperoni cheese.